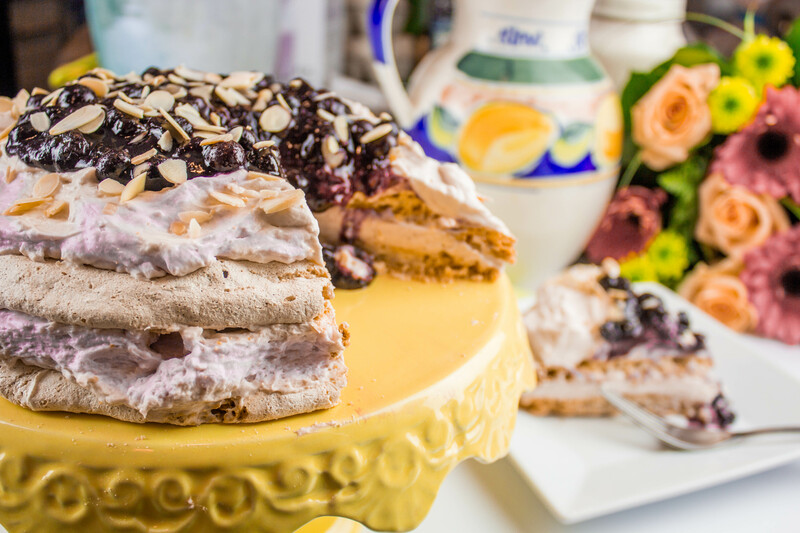 The crispy, exterior of this beautiful cake, the creaminess of the strawberry whipped cream and the rich blueberry compote are the perfect flavors to usher in the new spring season! Enjoy with a hot cup of tea or coffee. 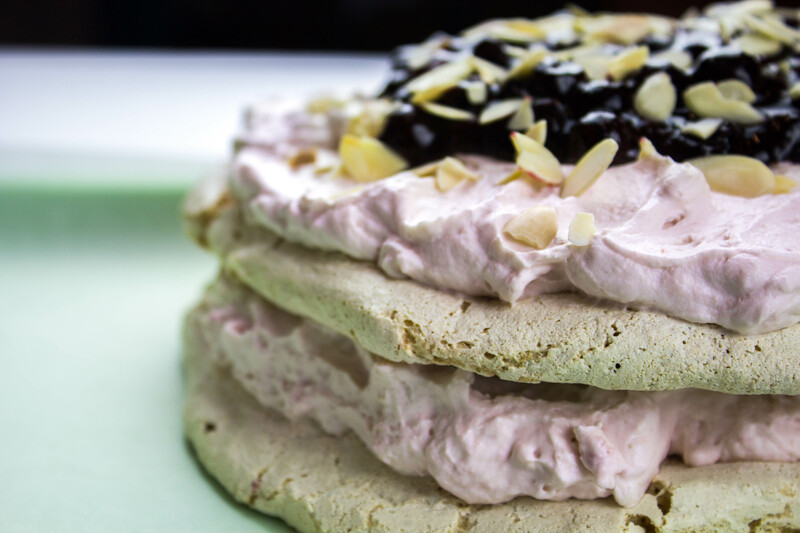 Ingredients Included: Almond Flour, Toasted Sliced Almonds, Caster Sugar, Brown Sugar, Freeze-Dried Strawberry Powder, Ginger Powder, Blackcurrent Liqueur (Cassis), Almond Extract, White Wine Vinegar, Cornstarch. 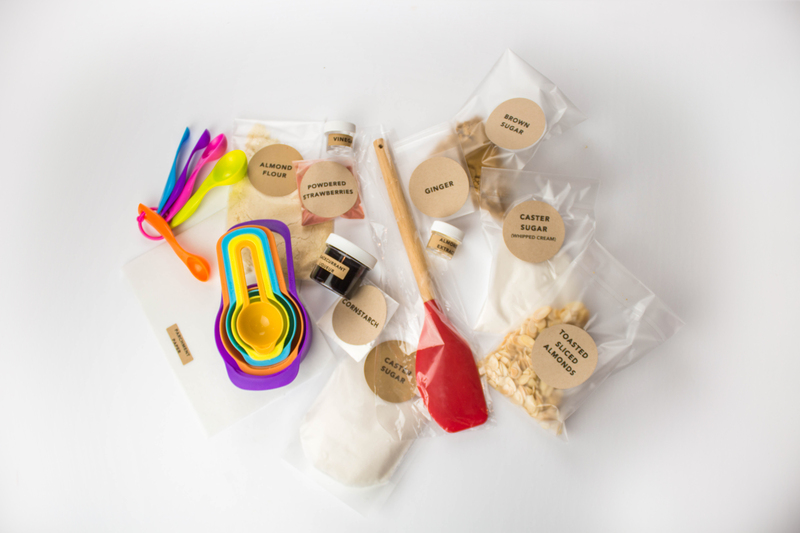 Bonus Tools Included: 1 Spatula, 1 Parchment Paper Sheet. Fresh Ingredients Needed: 4 Egg Whites, 1 Pint Fresh Blueberries, 35% whipping cream and Water. Equipment Needed: Stand or Hand Mixer, Mixing Bowls, Baking Tray.